You have a killer app but can’t seem to connect with the Salesforce AEs. What can you do? Actually, a lot. These 4 proven steps will help get you the mindshare and results you desire. Customer - Define your customer profile so Salesforce reps can easily identify opportunities in their area. SIC codes are very helpful. Look for patterns in the SIC codes of your existing customers to shine a light on the types of companies who are most likely to purchase your solution. Product - Be able to succinctly communicate your value proposition, and the three benefits of your app that define and differentiate your product. How does it fit into the Salesforce ecosystem? How does it improve Salesforce functionality? 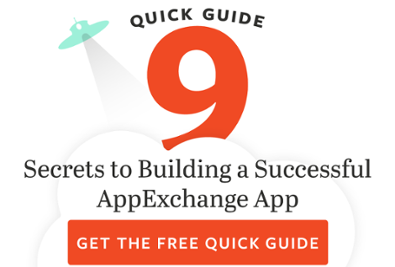 Does your app integrate with and extend core products? Wins and Competitive Analysis - Leverage information from the last two years of closed deals to find potential champions within Salesforce and to better understand where you win. Beware: AEs make more money selling Salesforce, so if you have a competitive product, you’ll have to work hard to prove its value. White Space Accounts - Nothing gets the attention of an AE faster than landing net new customers. New logos set you apart from the throngs of ISV partners. You’ll be more likely to be invited back for additional account mapping sessions. Sales Assets - Develop core pieces that concisely communicate your value but don’t overwhelm the AEs. They get inundated with partner marketing materials so make yours stand out from the crowd. At a minimum you need customer stories, a first call pitch deck for AEs, an easy to understand and install demo asset for SEs, and an application one pager. Positive AppExchange reviews are really helpful as well. Language and Culture - learn the Aloha language and how they go to market. Org Structure and Roles - who to talk to, and when. Get to know your Salesforce team. Bonus: Be aware of their Fiscal Timeline and EoQ priorities. Salesforce’s fiscal year begins on February 1st. In addition, the last week of every month is treated like it’s the end of the quarter. If your deal is expected to close at the end of a month, quarter or year, be sure to stay in close communication with your AE. It could potentially make or break your deal (and their month). Events - throughout the year and across the globe, like Dreamforce, World Tours, industry conferences, happy hours, and more. When you attend an event, find out if your customers are going and invite the corresponding Salesforce AE to plan a meeting with them. Social Media - connecting via LinkedIn and Twitter works like a charm. Chatter - don’t forget to use Chatter to your advantage as it is the one communication channel that Salesforce reps follow religiously! When you meet a new Salesforce contact, invite them to your Chatter group and @mention them on a compelling piece of collateral. @mention your ISV manager in the group for alignment requests on existing opportunities. Be prepared to provide engagement details. Email - a tried and true method. However, be concise and provide value to the recipient if you want a response. A well-worded customer success story always gets attention. Having an opportunity in the pipeline is just the beginning. Work with your team to understand the Deal Lifecycle and how that is managed within Salesforce. Establish Expectations - if you have a juicy opportunity, schedule a call with the Salesforce AE and set the ground rules. Clearly state your expectations and ask for buy-in on next steps and timeline. Ask the AE how they prefer to communicate with you. Invite them to your chatter group, and direct them to your sales kit. Review the Sales Process - describe what your typical sales process looks like - the AE might have tools that could be useful. For really juicy deals, you might be able to leverage the Salesforce EBC and executive support. Lastly, understand how AEs get paid. Provide Seamless Customer Onboarding - in a customer centric company like Salesforce, this is paramount. Chatter Away - again, make Chatter work for you. If you add your sales kit and key documents to Chatter, they are accessible when needed. Providing a short description of your territory helps the Salesforce team better understand your customer coverage. And, @mentioning Salesforce team members makes it more likely that your information will be promoted internally. Making inroads to Salesforce takes time and effort. There's no magic shortcut. That said, you can rise to the top if you follow the steps outlined above and have customer traction. The Salesforce AEs don’t work for you, but they can work with you when properly aligned. Stuck? As one of the original PDO partners in the ISV program, CodeScience knows the inner workings of Salesforce intimately. 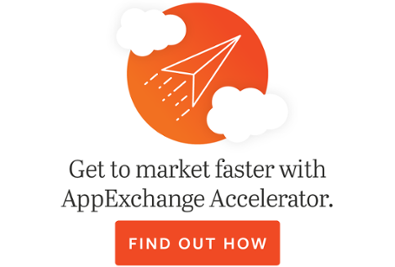 We’ve brought more than 220 products to market on the AppExchange, and four of our clients have risen to Platinum Partners in their time working with us. We can help - let's talk!